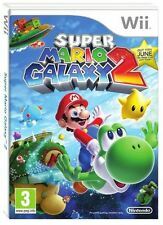 Super Mario Galaxy 2 - Nintendo Wii. Cranium Kabooki - Nintendo Wii. Did you know that there's usually about two months of planning that goes into it?. Format: Wii / DVD No. You can't keep a good tiny blue fella down. The smurfs are back! There's a twist, though, in that each smurf has their own unique ability. For example, Papa Smurf can lob magic potions to stun enemies, Grouchy Smurf can stomp foes or Vanity Smurf can strike a pose that enables other players to get to hard-to-reach areas. Cranium Kabookii (Wii). Title: Cranium Kabookii (Wii). Condition: Used; Good. Weight: 159 Gms. SKU: 4268207. 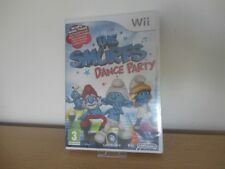 The Smurfs 2 - Nintendo Wii. Nintendo Wii. Your item will be dispatched within 24 hours. We Wish You A Merry Christmas - Nintendo Wii. LIKE NEW = UNMARKED DISC INCLUDES MANUAL. VERY GOOD = INCLUDES MANUAL UNLESS STATED VERY MINOR MARKS. Why Buy From Us?. Skylanders Giants Starter Pack (light storage wear on box) - Wii UK Sealed! Light storage wear on outer box. (see photos) Remains Factory Sealed. Contents flawless and unused. Official UK Release. 5 out of 5 stars - Skylanders Giants Starter Pack (light storage wear on box) - Wii UK Sealed! 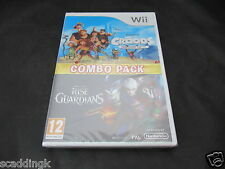 10 product ratings10 product ratings - Skylanders Giants Starter Pack (light storage wear on box) - Wii UK Sealed! UDraw Studio. Disney Princess Enchanting Storybooks. Card box for tablet has general wear and tear. We Wish You A Merry Christmas - Nintendo Wii / Wii U - PAL - Free, Fast P&P! 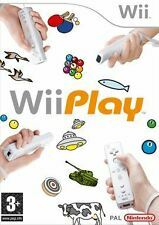 5 out of 5 stars - We Wish You A Merry Christmas - Nintendo Wii / Wii U - PAL - Free, Fast P&P! 3 product ratings3 product ratings - We Wish You A Merry Christmas - Nintendo Wii / Wii U - PAL - Free, Fast P&P! 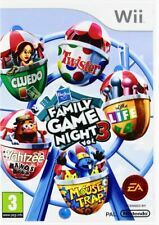 Nintendo Wii game We Wish You a Merry Christmas Excellent Condition Condition is Very Good. Dispatched with Royal Mail 1st Class Large Letter. The Spiderwick Chronicles - Wii. The photos you see are of the actual item that you will receive. Real moves - easy to follow dance moves choreographed by real experts in lots of different styles of music! All new modes and songs - party to hours of fun multiplayer modes for both kids and parents! I will always try to positively resolve any issues quickly. DREAMWORKSMONSTERS Vs ALIENS. TESTED & WORKING PERFECT. Join over 100M players and dance to your favorite songs. 5 out of 5 stars - Just Dance 2016,Nintendo Wii,PAL,UK,VGC,2015,Game,Complete,Ubisoft. 16 product ratings16 product ratings - Just Dance 2016,Nintendo Wii,PAL,UK,VGC,2015,Game,Complete,Ubisoft. We will always go out of our way to source the product you are looking for. Contents are in excellent as new condition. For Nintendo Wii & Wii U (When used with Wii Remotes - none included). Title: Cranium Kabookii. Boxed with manual. If you DO NOT agree with the above policy. Official Nintendo Wii Wireless Remote in White. - Official Nintendo Wii Wireless Remote Silicon Protective Cover. For Nintendo Wii.